P Chidambaram also lashed out at the National Democratic Alliance government at the Centre for the notes ban and Goods and Services Tax which he said was badly implemented. 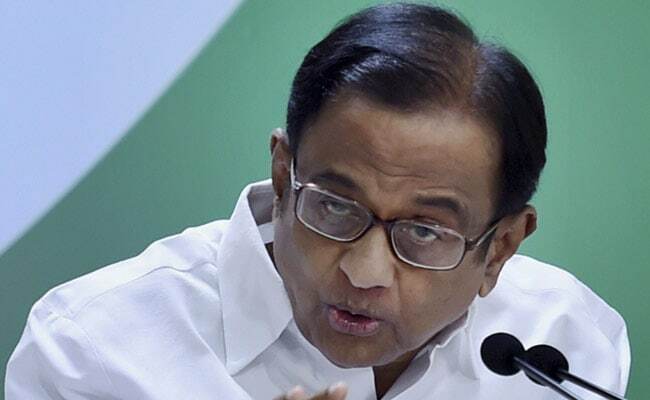 Ahmedabad: Former Union Finance Minister and senior Congress leader P Chidambaram on Tuesday asked Prime Minister Narendra Modi to explain about the jobs he had promised to create in the run-up to the 2014 general elections. He also lashed out at the National Democratic Alliance government at the Centre for the notes ban and Goods and Services Tax which he said was badly implemented. "Both these steps dragged the country into recession-like situation. Demonetisation is a major blow to the Indian economy and is completely unconcerned about the common man's plight," the Congress leader told a gathering at the Gujarat Chamber of Commerce and Industries event. "Was the black money, fake currency or corruption eliminated after demonetisation? None of these aims was achieved," he said. He claimed that after the of Rs 500 and Rs 1,000 notes were banned on November 8, 2016, as many as 15 crore daily wagers had to go to bed hungry for days together when only 40 per cent of Automated Teller Machines were functional. Taking a dig at the government over the GST issue, Mr Chidambaram said: "I want to thank the Gujarat assembly elections due to which the central government was forced to slash GST by three quarters on many items. They would not have done it for Himachal Pradesh's elections, but winning the Gujarat elections is of utmost importance to the BJP." He said that during the Unite Progressive Alliance government's 10-year rule, average growth rate in India was 7.5 per cent, with 8.5 percent in the first five years from 2004 and 6.4 per cent in the last two years of its rule. P Chidambaram claimed that the growth rate had declined during NDA rule due to demonetisation. He wondered why petrol and diesel prices were high despite the fact that since May 2014, international crude oil prices fell drastically. "Why is petrol, electricity, construction sector not included in the GST system. Why are they denying input credit to industries. The present government has made a complete mess of the GST as conceived by the UPA government." he said. The former Union Minister said that just saying that 'achche din ayenge' did not bring in development.